As seen in the Valentino, Givenchy & Fendi Pre-Fall collections, the PJ trend is set to continue into the colder months. Think matching piped sets, silk slip dresses, lace trimmed camis and waist-tie robes. Confession Time: I'm a little late to this trend. It's only now, nearly four seasons later, that I'm getting on board. But I plan to fully hop, skip and a jump on board! I'm obsessed with River Island and New Look's piped shirts which are perfect for a day in the office or dinner in the evening. 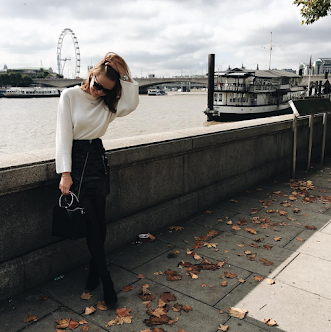 Similarly, Bershka's velvet cami and Topshop's metallic dress are super versatile taking you from these warmer months all the way through to winter with some layering of long sleeve tops and cashmere jumpers. Finally, Lavish Alice's blazer and River Island's matching set will be your 'power dressing' go-tos whenever the occasion calls for it. P.S. How adorable are ASOS's ankle-tie ballet flats?! Just make sure you check the weather reports before heading out the door with those!